So far Tatyana Stemkovski has created 78 blog entries. BALTIMORE — Senior Helpers®, the nation’s premier provider of in-home senior care services, today announced its participation in the Department of Defense Military Spouse Employment Partnership. Through the national employment and career partnership program, Senior Helpers joins more than 390 partner employers across the country who are committed to helping connect military spouses with portable careers. According to the U.S. Chamber of Commerce Foundation, there are more than six hundred thousand active duty military spouses and they face unique career challenges. Military spouses are typically employed at lower rates and earn less than their civilian counterparts. Moreover, military life comes with frequent moves, operational deployments and long hours away that impose significant stress on families. These conditions negatively impact employment opportunities for military spouses. Founded in 2002, Senior Helpers operates with a vision to be the leading home care company, serving military, their families and veterans. Its caregivers are fully trained and certified to offer the highest level of care possible based on the company’s Senior Gems® Alzheimer’s and dementia care program. As the gold standard for excellence in personalized in-home senior care, the program was developed in conjunction with nationally recognized dementia care expert Teepa Snow, Positive Approach, LLC. The company also offers a Parkinson’s Care Program, a specialized training program for their caregivers created in conjunction with leading experts from the Parkinson’s Foundation’s Centers of Excellence network. For more information about how Senior Helpers is working to support military spouses in fulfilling their career goals, visit seniorhelpers.com. For more information on the Military Spouse Employment Partnership, please visit msepjobs.militaryonesource.mil. Senior Helpers® is the premier provider of care for seniors, and offers services ranging from specialized care for those with diseases such as dementia, Alzheimer’s and Parkinson’s, to personal care to help individuals looking for a little assistance with daily activities. Founded in 2002 with a vision to help seniors who wish to remain in their homes despite age-related illnesses and mobility challenges, Senior Helpers® has hundreds of franchised and owned businesses that have cared for tens of thousands of seniors. Senior Helpers® is the first national in-home senior care company to be certified as a Great Place to Work™, is included in Entrepreneur’s Top 500 Franchise Ranking, is an approved partner in the Military Spouse Employment Partnership and is an active member of the Healthcare Leadership Council. Learn more by visiting http://www.seniorhelpers.com. FORT LAUDERDALE, Fla. — Rita Goldberg, founder and CEO of professional swim lesson franchise British Swim School announced that she has sold the business she started over 35 years ago. Multi-brand franchise company Buzz Franchise Brands out of Virginia Beach, VA will become the largest stakeholder in the new partnership. Goldberg started British Swim School in the basement of her Manchester home in 1981. Ten years later she brought the business to the U.S. and in 2011 she began franchising the business. Since then the brand has grown to nearly 200 schools in 21 states and an international presence in Canada and Turkey. “I’ve been in this business almost 40 years now, and I could not be prouder of what we have accomplished in the past eight years growing this into a business that provides almost 17,000 swim lessons for children each week. Through this work we are teaching vital water survival skills and combatting the many lives lost to drowning. For this to continue, and for British Swim School to leverage its growth opportunities, it was time to bring in some partners to support that growth,” says Rita. One of those partners is long-time franchising professional Greg Longe, who will take the reigns as CEO of British Swim School. Most recently Longe was Chief Operating Officer for The Huntington Company, a multi-brand franchisor concept primarily focused on dry cleaning and textile restoration, with brands such as Martinizing and Certified Restoration Drycleaning Network (CRDN). Previously he served as President of Roosters men’s grooming centers and Service Brands International, as well as founding various business concepts. “I have worn a lot of hats in the franchising industry, and I am thrilled to leverage that experience to lead this reputable brand’s growth in the years to come. The mission of British Swim School is powerful, to save children’s lives by teaching water survival skills, and I am proud to be a part of that,” says Longe. This is the first franchise acquisition for multi-brand franchisor Buzz Franchise Brands, led by CEO Kevin Wilson. Buzz Franchise Brands is parent company to pool cleaning and maintenance franchise Pool Scouts, currently operating in nine states, and residential cleaning brand Home Clean Heroes, which began franchising late last year. The company’s first brand was Mosquito Joe, which was sold to Neighborly out of Waco, Texas in August 2018. For more information on British Swim School visit https://britishswimschool.com, and for more on Buzz Franchise Brands visit https://buzzfranchisebrands.com. For over 37 years, British Swim School has been dedicated to teaching water survival skills to children as young as three months old. CEO Rita Goldberg founded British Swim School in 1981 and developed the unique and highly effective teaching methods that are a recognized trademark of the brand. Headquartered in Ft. Lauderdale, Florida, British Swim School currently operates out of nearly 200 schools within 21 states and is developing an international presence with locations in Turkey and Canada. The organization holds around 17,000 lessons per week nationally and conducted over 600,000 swimming lessons in 2018. 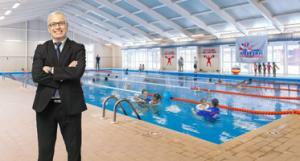 British Swim School was recently ranked #87 in Entrepreneur’s Franchise 500. For more information about British Swim School, visit https://britishswimschool.com. Founded in 2012 and based in Virginia Beach, Virginia, Buzz Franchise Brands is a fast-growing multi-brand franchising organization that builds companies that get people talking. The organization’s first brand, Mosquito Joe, was sold to Neighborly in late 2018 after growing to almost 300 locations. Buzz Franchise Brands currently operates pool cleaning and maintenance company Pool Scouts and residential cleaning company Home Clean Heroes. The company has been named among the Inc 500 Fastest Growing Private Companies as well as Inc’s Best Workplaces list for three years in a row. For more information about Buzz Franchise Brands, visit https://www.buzzfranchisebrands.com/. Great Harvest’s unique franchise model allows entrepreneurs to choose between owning a single bakery cafe or a cost effective Hub & Spoke model, built for multi-unit owners. The hub and spoke model allows owners to cover more territory and serve as their own supply chain with a central bakery cafe supplying fresh bread throughout the day to the cafe-only locations, in surrounding communities. Great Harvest knows that cookie cutter franchises are not what communities need. Each of these neighborhoods will soon have a hub or spoke with their own unique style and menu that matches the community’s vibe and desired taste. Great Harvest is an investment opportunity that lets the owner decide how turnkey they want the process to be and lets franchisees call their own shots. Walt and Ellie Legits (Grand Junction, Colo.) – After two years of owning an existing Great Harvest bakery in Grand Junction, they are now in the process of opening their first spoke to expand in the market. They always envisioned growing through the hub and spoke model, which is what initially drew them to the franchise. Praveen and Prajna Munipalle (Northern Dallas) – This entrepreneurial couple has joined the Great Harvest franchise with plans to open one hub location and three spoke cafes over the next five years. As a family-owned business, they are looking to diversify and develop a business for their family’s future. Nimesh and Natasha Patel (Long Island, N.Y.) – After experiencing Great Harvest for themselves, this husband and wife team fell in love with the product and knew they had to be the first to introduce it to the Long Island market. Over the next several years, they will be opening a bakery cafe hub and two spokes. The couple is diversifying their extensive business portfolio as they own several hotels in New York, Georgia and Florida. Lacey and Brian Loveless (Tulsa and Broken Arrow, Okla.) – Looking to move back to Tulsa, the couple has purchased an existing Great Harvest location with plans to open a second spoke in a few years. Coming from the veterinary industry, the Loveless family wanted to utilize the benefits of a franchise system to guide them through their career transition. Michele Ellis (Red Bank and Asbury Park, N.J.) – Using her background in consumer marketing and retail development, Ellis is looking forward to putting her own spin on her bakery cafe location over the next few years. Dubbed “Bread Heaven” by fanatic customers since 1976, Great Harvest bakes bread from scratch with whole grains milled right on the premises. 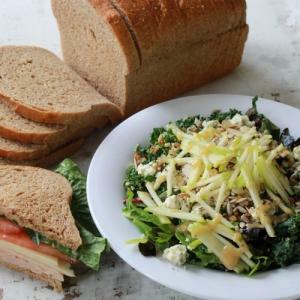 Along with the finest bread around, Great Harvest offers sandwiches, grain bowls, salads, pastries and more to serve up a tasty meal for anytime of the day. To learn more about the Great Harvest hub and spoke model, check out the blog or download the franchise information packet. TORONTO — Blo Blow Dry Bar, the original blow dry bar and the world’s largest blow dry bar franchise, announced today that its successful development efforts throughout the first quarter have accelerated the brand’s growth, opening 11 new locations and signing new franchise agreements that will further expand Blo’s presence nationwide. 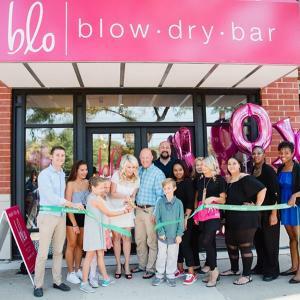 This surge in franchise development has fueled Blo Blow Dry Bar’s ongoing success, achieving 15 consecutive months of positive year-over-year same-store sales growth. Blo has grown its northern footprint with the addition of two new bars in Manhattan, as well as new openings in Northern Baltimore, West Orange and Franklin Lakes, New Jersey and two new locations in the brand’s hometown of Toronto. Atlanta welcomed a new bar in East Cobb, which marked the third of six locations slated to open in the greater Atlanta area this year. 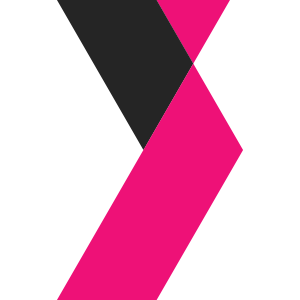 Additionally, Blo opened new bars in Denver and Chicago and also introduced its “no cuts, no color” concept to Iowa with the state’s first location in the Quad Cities. The company is further driving its franchise development with the signing of three franchise agreements that will bring new locations to several markets across the U.S. including Chicago, South Florida and the Philadelphia metro area. “Blo brings an affordable luxury to the communities we’re in and with a demand for the services and experience we provide, we’re accelerating development in new and existing markets. We’re eager to build on this momentum to make our catwalk-quality blow outs accessible to women worldwide,” added Yakobson. Recognized as the original blow dry bar, Blo Blow Dry Bar believes in creating an inclusive space where people of all ages, ethnicities and orientations can feel welcomed, represented and gorgeous. Combining a sophisticated design with a fun and lively environment, Blo creates a seamless and enjoyable experience for guests from start to finish. Expertly trained bloers are available for consultation seven days a week to meet the needs of all customers. Blo’s hair menu includes seven signature styles to choose from, ranging from a sleek ponytail to flirty and bouncy curls. Blo Blow Dry Bar also offers makeup services, with expert makeup artists on hand to make guests look and feel amazing for any occasion. Blo Blow Dry Bar is currently seeking single- and multi- unit operators to join the brand’s rapid expansion. For more information about franchise opportunities visit https://franchise.blomedry.com/. Blo Blow Dry Bar is the original blow dry bar and the world’s largest blow dry bar franchise. The company transformed beauty norms and reinvented the salon industry when it launched the “no cuts, no color” concept: only blow outs. Since opening its first location in Canada in 2007, Blo has grown to over 130 locations across North America and continues to expand rapidly. With a mission to enhance the lives of those in the community through the power of flawless blow outs and beauty services, Blo Blow Dry Bar offers perfectly styled hair and exceptional customer experiences seven days a week. For more information visit www.blomedry.com. 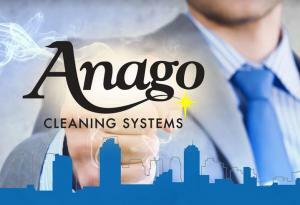 FT. LAUDERDALE, Fla. — Anago Cleaning Systems (Anago), an industry-leading commercial cleaning franchise with over 40 Master Franchise locations and more than 1,500 Unit Franchises throughout the U.S. and internationally, announced its newest Master Franchise has opened in Orange County, CA. Former IBM and Accenture sales executive Deepak Sinha is the owner and operator of the Orange County master franchise. Sinha, an alumnus of St. Stephen’s College in New Dehli, India and Indian Institute of Management, has been in the corporate world for 22 years, including stints in sales with IBM, Accenture and DuPont India. A 15-year resident of Orange County, Sinha has also invested in two other business, a preschool and a restaurant. To explore Master franchise opportunities with Anago, contact Judy Walker, Senior Vice President of Marketing, at 800-213-5857 or judy@anagocleaning.com or visit http://www.AnagoMasters.com. BONITA SPRINGS, Fla. — Oasis Senior Advisors is dedicated to finding new ways to make navigating the maze of senior housing simpler and less stressful for seniors and their families. That’s why more than 70 franchisees from around the country gathered along with the corporate team for the Bonita Springs, Florida-based company’s annual convention, held April 4-6 at the Sheraton Westport Chalet Hotel in St. Louis. Leading experts in senior living, caregiving, networking, team building and more shared insight, and top-performing franchisees received awards. Oasis Senior Advisors, founded in 2014, was placed on the GrowFL Florida Companies to Watch list for its rapid development, economic contributions and potential for further expansion. The national franchisor offers free, community-based referral placement assistance for seniors with an emphasis on dedicated, personalized service. Dementia caregiving expert Teepa Snow, financial consultant Paul Stappas, and networking gurus Greg and Debby Peters were the speakers at the convention, where advisors received training and education designed to empower their success. The event culminated in an awards ceremony that saw North Milwaukee franchisee Lauren O’Desky come away with top honors as Franchisee of the Year. Frederick, Maryland, franchisee Kriste Kidd earned the nod for Rookie of the Year. A pair of franchisee couples — Alan and Lee Ann Hoffman of Naperville, Illinois, and Paul and Susan Doyle of Westchester County, New York, and Fairfield County, Connecticut — won the Spotlight Award for contributions that have enhanced the company. And Denver Metro franchisees Daphne Jean and Lisa Theard earned Rising Star of the Year honors for their location’s growth over the past year. Oasis Senior Advisors connect seniors with the housing communities that fit them best. They weigh options, taking each factor of the family’s and individual’s needs into account, including level of care, independence and budget. They provide support every step of the way, from the initial inquiry to move-in day and beyond. For more information about Oasis Senior Advisors, franchise opportunities, or to connect with an advisor, visit oasissenioradvisors.com. Founded in 2014 by Tim Evankovich, Oasis Senior Advisors guides families and seniors, at no cost to them, through the process of selecting a senior living community that best fits their needs. The company, based in Bonita Springs, Florida, currently operates 67 franchise locations in 26 states. 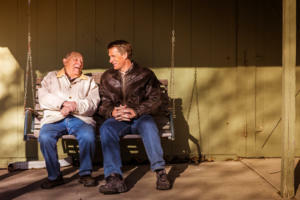 Their personalized and caring approach to aid seniors and their families during a transitional time in their lives has helped many achieve satisfaction, comfort and peace of mind. Through client satisfaction and its strong partnerships with many of the top-rated senior living communities in the country, Oasis Senior Advisors is positioned for continued growth. Franchise opportunities are available throughout the country. Visit oasissenioradvisors.com or call 888-455-5838 to learn more. FLUSHING, Mich. — Coffee Beanery, the specialty coffee roaster based in Flushing, MI, is excited to announce the opening of its location on 4580 Miller Road in Flint, MI. To celebrate the opening of this location, a three-day Grand Opening Celebration has been planned. On Thursday, April 25th, the first 100 guests will receive a Right Roast® coffee sampler. Free tall coffee and hand-crafted panini tastings will occur all day with a ribbon cutting beginning at noon. On April 26th, giveaways, games, and prizes will take place all day. On Saturday the 27th, 103.9 The FOX will be broadcasting live from 10am-12pm with Salute the Troops, proudly offering free tall coffee to all military and their family. This event is free and open to the public. 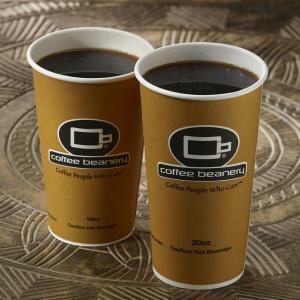 Coffee Beanery opened its first stores in the United States in 1976, before the American public knew the term “specialty coffee.” In the 40 years that have followed, Coffee Beanery continues to build its brand and franchise organization on the principles of time-tested and honored traditions and values. Exceptional coffee, a warm relaxing environment, and a corporate culture that embraces its franchisees with every opportunity to succeed exemplify these values. Today, Coffee Beanery has nearly 75 locations throughout the world with locations overseas and is recognized as an industry leader for its unique family business approach, corporate culture and commitment to quality. WHEN: Thursday, April 25, @ 12 p.m.; ribbon-cutting ceremony @ 12:00 p.m. Celebrating with specials Thursday April 25-27th. CARROLLTON, Texas — FASTSIGNS International, Inc., franchisor of FASTSIGNS®, the leading sign, graphics and visual communications franchise, announced that it is seeking franchisees at the upcoming ISA International Sign Expo held in Las Vegas, Nevada, from April 24-26. The annual show is one of the largest gatherings of sign and graphics professionals, and FASTSIGNS is targeting co-brand and conversion prospects, where independent print and sign shop owners can expand their existing business or convert their business to FASTSIGNS. FASTSIGNS will exhibit at Booth #4153 on the trade show floor at the Mandalay Bay Convention Center, in Las Vegas. The brand is seeking entrepreneurs with an established business that are interested in diversifying their product lines and services to meet the growing demand for state-of-the-art signage and visual communications solutions. 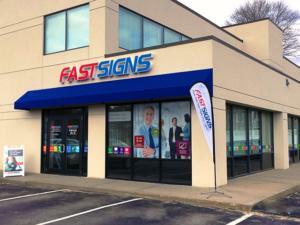 FASTSIGNS has helped countless owners of print shops, photography studios, camera stores, embroidery shops, and more, add a FASTSIGNS to their existing business or fully convert their store to a FASTSIGNS franchise. FASTSIGNS franchisees receive ongoing training and support to stay ahead of the competition and exceed the needs of their local business community. Both the co-brand franchise opportunity and conversion can be started with only $15,000 down on the initial franchise fee. FASTSIGNS is known in the industry for equipping its franchisees with tools vital to securing the ongoing success of each individual location. In 2018, FASTSIGNS announced the launch of its partnership with 1HUDDLE, a workforce-training platform that converts unique training content into science-backed, quick-burst training games that are proven to accelerate workforce productivity. Additionally, FASTSIGNS announced the launch of a special incentive for first responders, including paramedics, emergency medical technicians, police officers, sheriffs, and firefighters, which includes a 50-percent reduction on the franchise fee — a savings of $24,875. FASTSIGNS International, Inc. was ranked the #1 franchise opportunity in its category and 95 overall on Entrepreneur magazine’s 2019 Franchise 500®, the world’s first, best and most comprehensive franchise ranking. Acknowledged by entrepreneurs and franchisors as a top competitive tool of measurement, the Franchise 500® recognizes FASTSIGNS, the only sign, graphics, and visual communications franchise to be recognized in the top 100, for its exceptional performance in areas including financial strength and stability, growth rate, and brand power. FASTSIGNS also ranked #2 on this year’s Franchise Gator Top 100 list, ranking the best franchises for 2019. FASTSIGNS also has been ranked by Franchise Business Review as one of the “Best of the Best” for franchisee satisfaction for the last 10 years. Additionally, FASTSIGNS also was named to Franchise Business Review’s “Innovative Franchises” list in 2017 and a “Best-in-Category” franchise by Franchise Business Review in 2018. In 2019, the Canadian Franchise Association (CFA) awarded FASTSIGNS International, Inc. the Franchisees’ Choice Designation for the seventh consecutive year for its strong relationship with Canadian franchisees, as well as extensive franchisee training and support. FASTSIGNS International, Inc. is the leading sign and visual communications franchisor in North America, and is the worldwide franchisor of more than 700 independently owned and operated FASTSIGNS® centers in nine countries including the United States, Canada, Chile, England, Grand Cayman, Mexico, Saudi Arabia, the United Arab Emirates and Australia (where centers operate as SIGNWAVE®). Locations are slated to open in two additional countries – Malta and Spain – in 2019. FASTSIGNS International, Inc. is a recipient of many awards, including being ranked the #1 franchise opportunity in its category in Entrepreneur magazine’s Franchise 500 for the past three years, and Best-in-Category in the business services sector on Franchise Business Review’s list of the top 200 franchises for multiple years. NEW YORK — N-Hance Wood Refinishing, the leading nationwide franchise specializing in hardwood floor and kitchen cabinet refinishing, has announced plans to add four new territories to New York state, secured through strategic partnerships, by year’s end. This 2019 expansion is folded into the brand’s overarching goal to add more than 20 locations throughout the state over the next five years. Kickstarting these aggressive development goals are newly signed agreements in Nassau County and Suffolk County. Entrepreneurs Michael and Carole Gangadeen will debut N-Hance’s services throughout Floral Park, New Cassel, Plain View, Elmont, Uniondale, and Rockville Centre areas. Additionally, new franchise owner, Andrew Saulino will service the Melville, Amityville, Brentwood, Brightwaters, Bayport, Calverton, Blue Point and Tiana areas. Finally, John Polkwoski will launch the N-Hance brand in markets including Binghamton, Ithaca, Cortland, and Oxford, in central New York. These three new groups will build on the momentum N-Hance has already paved with 21 franchise locations currently operating throughout the state. To meet the rising demand in the market, N-Hance is actively seeking franchise partners in the cities of Binghamton, Albany, Long Island, Bronx, Manhattan, and Syracuse. N-Hance sets the industry standard for hardwood refinishing. Supported by Harris Research, Inc., N-Hance is the only wood refinishing company, working with more than 1,200 Home Depot locations across the nation. Also helping lead the company’s growth is its one of a kind “Lightspeed® instant curing system” for hardwood cabinets and floors which saves customers time and money over the traditional refinishing, refacing or replacing alternatives. The innovative process provides one day hardwood refinishing without the hassle of dust, mess or odor. For more information about franchising in the New York area and N-Hance Wood Refinishing, please visit https://nhancefranchise.com/. Founded in 2001, N-Hance Wood Refinishing is based in Logan, Utah and is a trusted partner of the Home Depot, with a presence in more than 1,200 locations. N-Hance Wood Refinishing has more than 500 franchises across the United States, Canada, Australia and New Zealand and is backed by Harris Research, Inc., the same company that grew Chem-Dry into the world’s largest carpet cleaning company. AUSTIN, Texas — Le Macaron French Pastries, an elegant French patisserie that offers guests the finest, authentic French macarons and pastries, recently announced plans to introduce more than 10 locations in targeted communities throughout Texas. The community-focused brand will ignite growth through strategic franchise partnerships and aims to open the new locations within the next five years. Le Macaron French Pastries currently has more than 50 locations across the nation and is looking to ramp up growth through a selective strategy, focusing on a solid foundation of smart franchise partnerships and tactical site selection. Three Le Macaron French Pastries franchises are currently open in the Houston and San Antonio area, and each of them have found success with a loyal customer following. The dedicated customer base Le Macaron French Pastries secures makes the brand a reliable franchise concept for those beginning their professional careers or individuals looking to take a new step in their professional journeys. Jonathan Hanley, owner of Le Macaron in Frisco, held executive roles in a variety of multi-national tech and consumer goods companies. Hanley and his two daughters fell in love with the product of Le Macaron when trying it for the first time, and felt there needed to be a location in their own community. Launched only two years ago, Hanley and Le Macaron in Frisco have earned a dedicated customer following and well recognized online presence. Founded by France natives and mother-daughter team Rosalie Guillem and Audrey Saba, Le Macaron French Pastries provides an authentic French experience for Americans nationwide. Upon entering, guests are greeted with brilliant colors and a modern interior complemented with traditional music playing throughout the café. Offering more than 20 flavors of macarons, as well as seasonal flavors, the menu extends to include pastries, gelato, coffee, cakes, éclairs, and more. 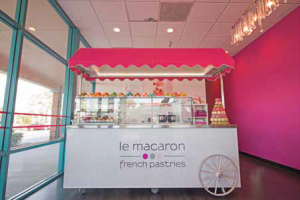 Whether in a metropolitan city or municipal town, Le Macaron French Pastries offers a new franchise opportunity which aims to lean into the growing quick-serve and snack brand trend of kiosks, mobile carts, and express locations. As consumers’ on-the-go lifestyle continues to accelerate, Le Macaron French Pastries seeks to capitalize on these captive audiences at malls, airports, sporting events, festivals and other gatherings. Franchisees can expect an investment ranging from between $91,750 to $127,000 for a mobile cart and $146,000 to $375,500 for a traditional café. All of Le Macaron French Pastries products are made in the kitchen headquarters, eliminating the need for a full kitchen space. Interested parties should have a strong desire to own a business, as well as a passion for the dessert space and success. For more information on the Le Macaron French Pastries franchise opportunity please visit http://lemacaronfranchise.com/. Founded in 2009 by Rosalie Guillem and her daughter Audrey, Le Macaron French Pastries is an elegant French patisserie that offers guests the finest, authentic French macarons and pastries. Headquartered in Sarasota, Fl., the brand began franchising in 2012 and has since grown to more than 50 locations across the U.S. Le Macaron French Pastries is ranked on Inc. 5,000 2016, #17 on the 2019 Top Emerging Franchise List as well as ranking on the Top 100 Food and Beverage category by Entrepreneur and holds a No. 9 ranking in the baked goods category. For more information, visit http://lemacaron-us.com/.